Hello! 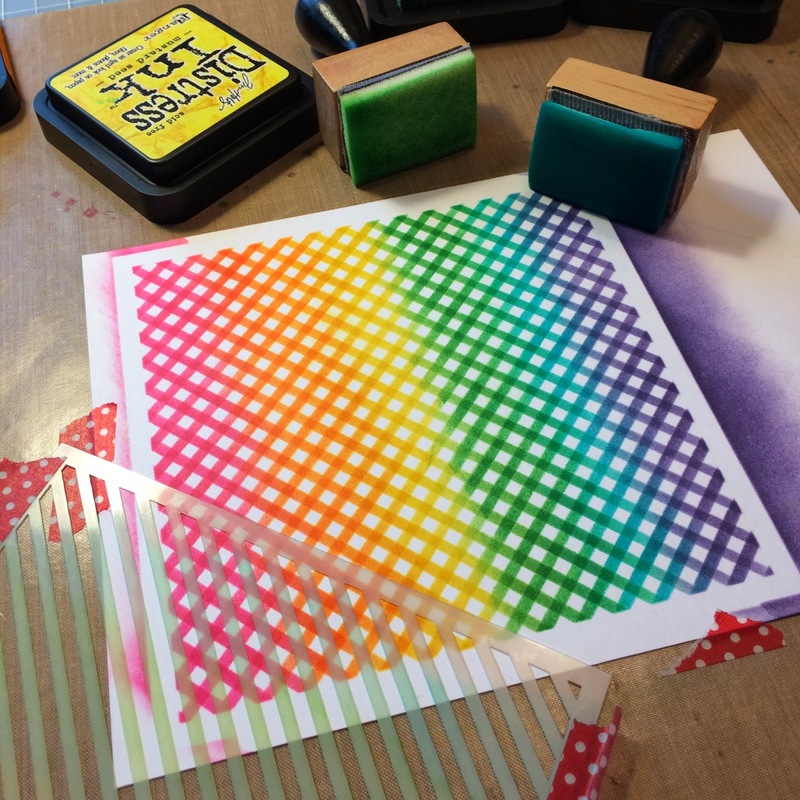 Today I'm sharing another stenciling project I made from class. I totally got my stencil on this past weekend can you tell? This card is based on Julie's card from class that used ink mists with stencils. I don't happen to own a cool die that cuts a sentiment along an edge so I made do with what I had. I used the hexagon stencil from Heidi Swapp along with Lemonade and Custard Mister Huey mists. I also added some splatter drops of black ink mist and gold shine mist by using a paint brush dipped in the mists. 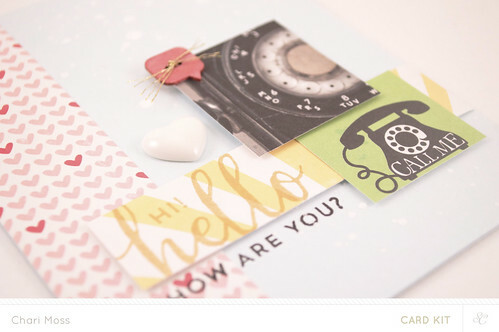 To create the die cut sentiment I cut my black card stock to the same width of my card, then I lined up the new Hello die from Lawn Fawn where I wanted it to be on the card, slightly to the right. After cutting out the "hello" I used a straight edge to cut the remaining card stock along the bottom edge of the word, allowing the very ends of the sentiment to overlap so that it would fit back into the strip on the card. After cutting the strip to the right thickness I stamped the rest of my sentiment in delicata gold ink using Riley's ABCs. I covered the "hello" with wink of stella glitter for extra shine and used stickles on the bee's wings as well. 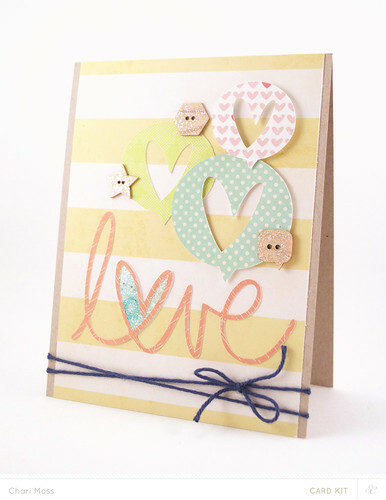 The little bee is from the new Hello Sunshine stamp set that will be available soon from Lawn Fawn as well. It's Reveal time at Studio Calico! 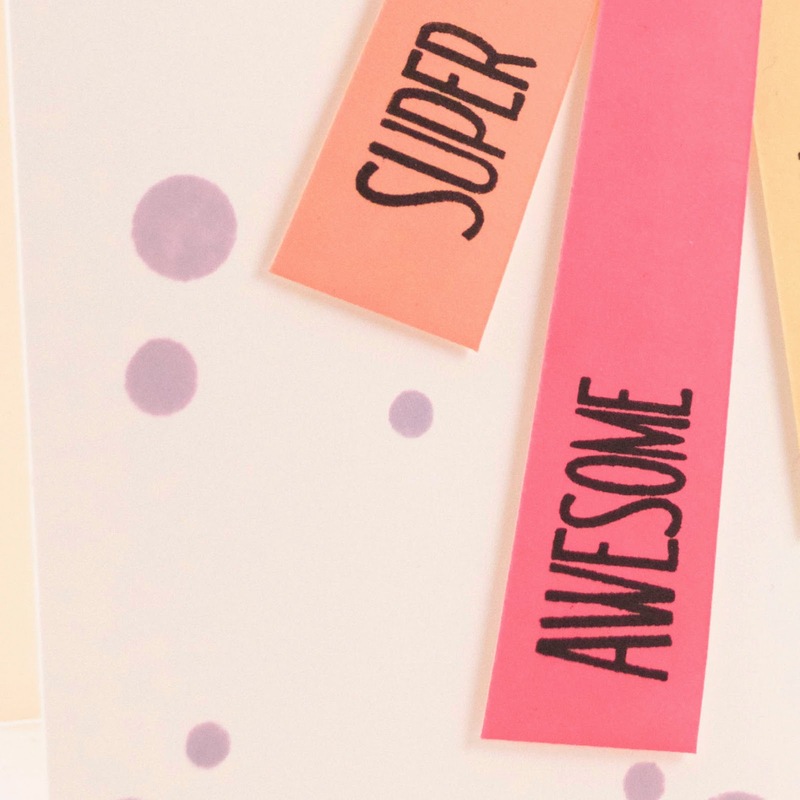 Time to check out February's kits Sugar Rush! 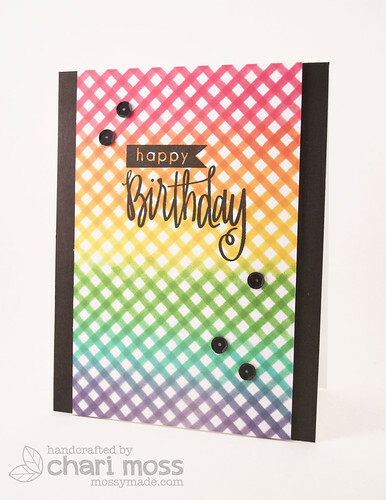 The Sugar Rush card kit has some great papers in it including one with larger elements that I felt were perfect for cutting apart and using more like embellishments. Again this card started with the sentiment as my jumping off point. 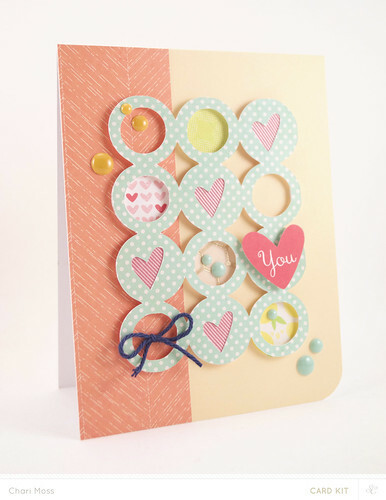 The blue card base uses the pale blue card stock in the More Color Card pack for February. 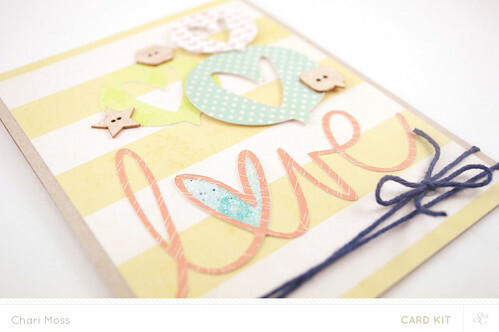 I used white Mister Huey's to add some paint splatter to the card base to tie in with the white heart embellishment. I colored the wooden speech bubble button to match the red heart paper and use gold floss from Copper Mountain on it as well. 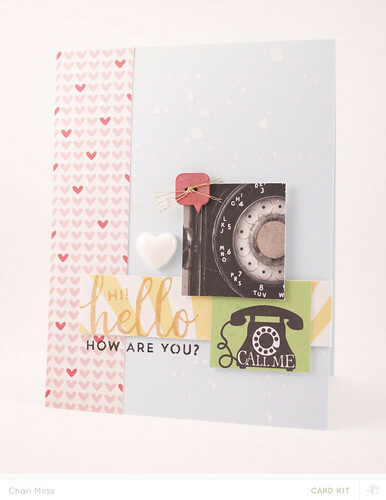 Tonight is reveal night at Studio Calico and soon you will all be able to get your hands on the new Sugar Rush kits. 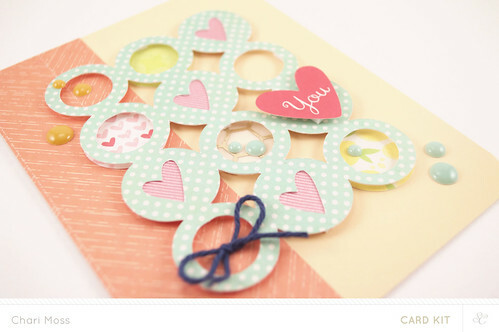 I love the sentiment stamps in the Sugar Rush card kit. I did a lot of designs based around sentiments this time around. 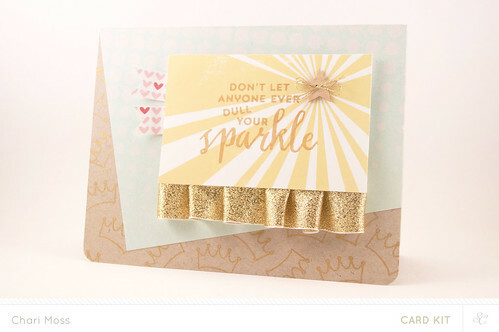 This first design started with the sparkle sentiment that was just begging to be stamped in glamerous gold on the sunburst paper. I ruffled up the wide gold ribbon behind the panel for some extra sparkle. The wooden star button has some gold floss left over from my Copper Mountain kit and I covered it in a layer of sparkle with my wink of stella clear glitter pen. I stamped the crown image from the set in gold ink on the kraft card base to create a pattern background and adhered the soft aqua pattern paper on an angle to finish off the background for this card. For a little pop of color I cut down the heart pattern paper (which I adore by the way) and create a couple banners to tuck behind the sentiment panel. 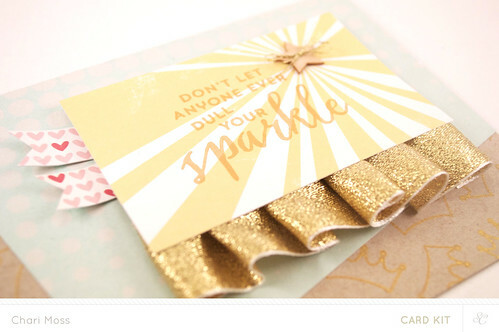 I totally love all the soft colors with a bit of shine, it really compliments the sentiment.